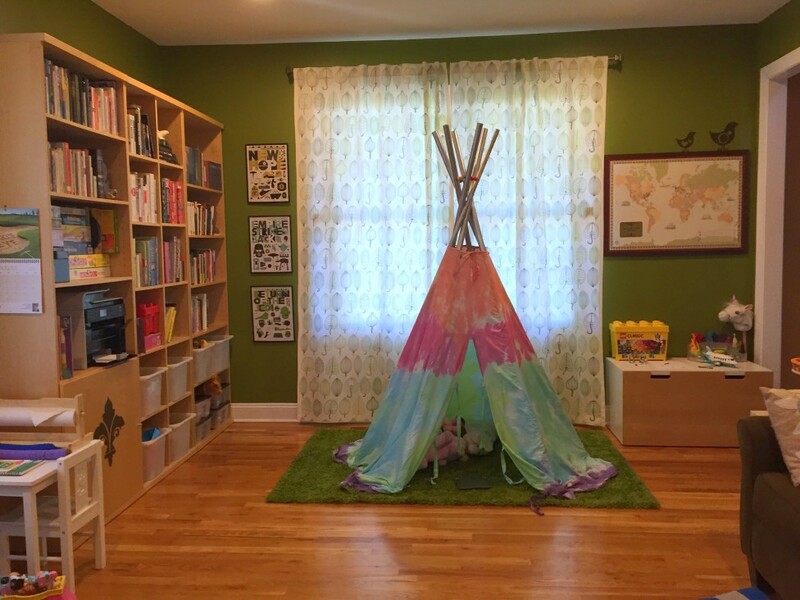 We’ve called this room the library since we bought the house almost 9 years ago. I think we’ll never shake the name; originally this was the room with all of the books, lots of them. 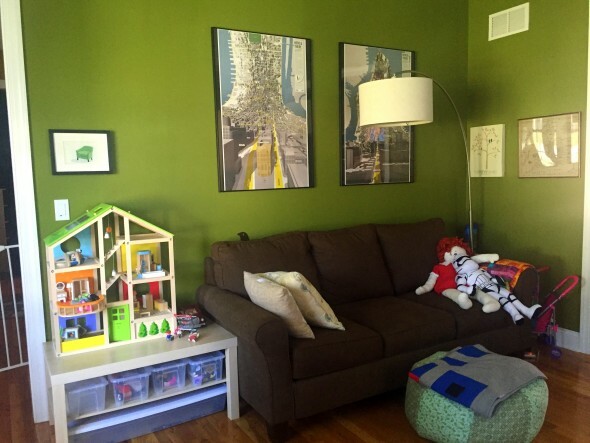 But over time it’s evolved into more of a family room, with H’s toys and playthings taking over. 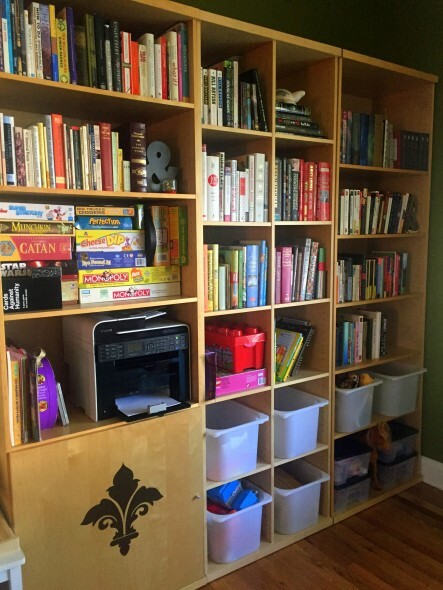 Books have been donated and moved to make room for trains, toys, art supplies. I love that room, and I love its evolution. I don’t have a ton of before photos, I just didn’t even think to take them. Adam was out of town on business a couple of weeks ago, so I decided to tackle this room while he was away. We’ve been working on updating a bunch of rooms in the house that just need a little refresher. H, my mom, and I went to IKEA, got a couple hundred dollars worth of things for this room, and then I went to town. 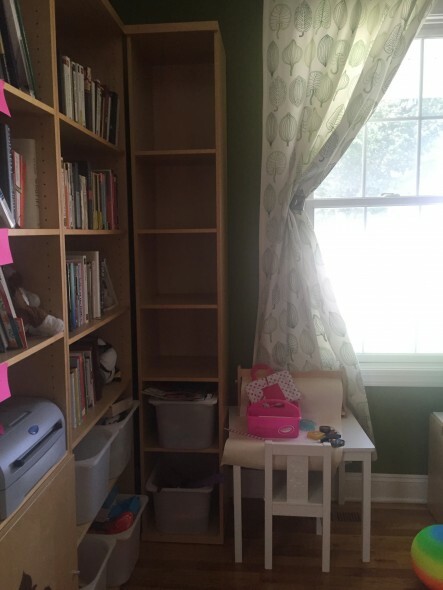 I got ride of our skinny bookcase and the old desk, and I moved all the books to one wall. I love this wall. 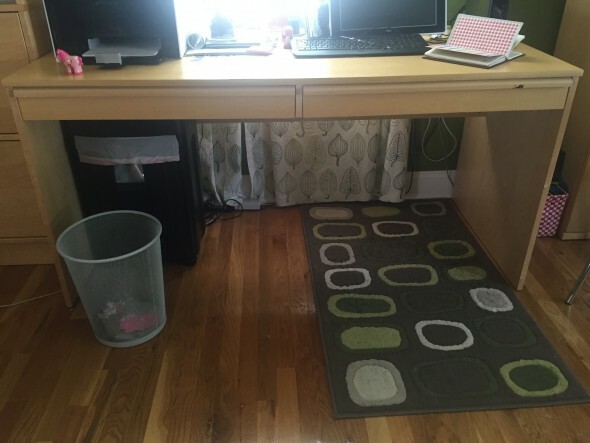 Big and little white desks. 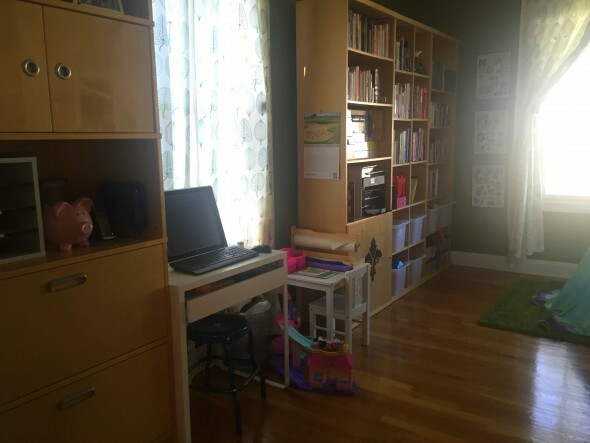 I moved her dollhouse and readjusted some prints on the walls. 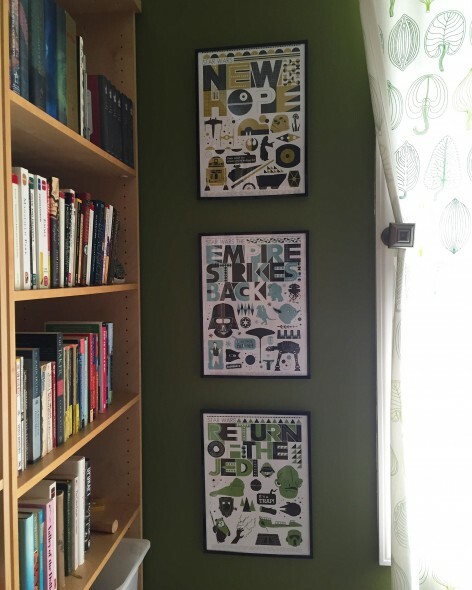 I hung these cool Star Wars prints that I bought for Adam before H was even born, from an Etsy shop called Handz, and I never framed them or put them up. So now they’re up! 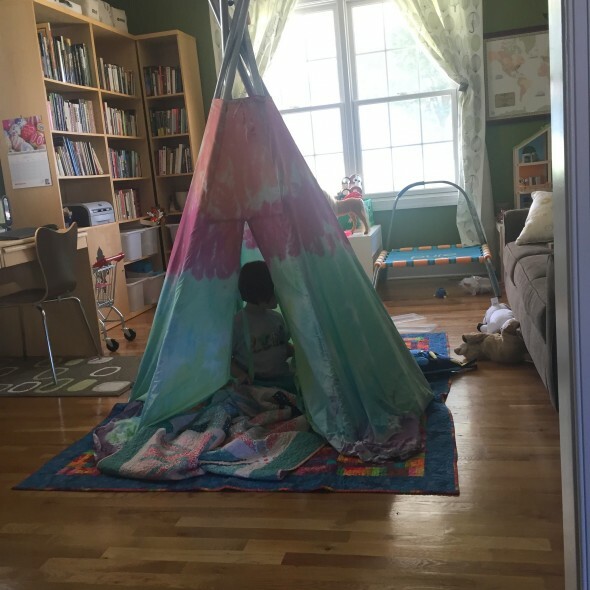 The tent that we made at the beginning of the summer now has a special rug in a special spot, it’s not sitting in the middle of the floor anymore. I love that green rug! From IKEA, it’s like grass. H set up shop in there immediately. This is one of the coziest rooms in the house now.